It looks like Paul McLoughlin’s Wexford Senior footballers will have to plan ahead to their Leinster Championship match without one of their key players. According to Wexford’s renowned sports commentator Liam Spratt, St Martins’ Barry O’Connor suffered a badly broken thumb in an u20 challenge game just under two weeks ago. Given a 2-3 month rehabilitation programme, O’Connor will now partake in a race against time to return for Wexford’s opening round of Championship. O’Connor, only 19 years of age, has become an integral part of McLoughlin’s senior set-up, improving with every appearance for the footballers. 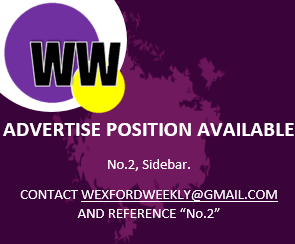 In the second-last round of their Division 3 campaign, O’Connor kicked 0-3 and was a central figure in Wexford’s attack. Earlier in the year, O’Connor claimed headlines after he kicked the winning point against Dublin in the O’Byrne Cup to ensure the Yellowbellies claimed a rare and historic win over the All-Ireland champions. The St Martins club-man also played a pivotal part in the St Peters College team that was defeated in the post-primary schools’ Hogan Cup final to St Brendan’s of Killarney in Croke Park last April. The injury will come as a serious blow to O’Connor and the Wexford Senior football team ahead of the looming opening round of Leinster championship against Laois on May 6th.